In a lovely German brewpub in L�neburg, video courtesy of Dr John. 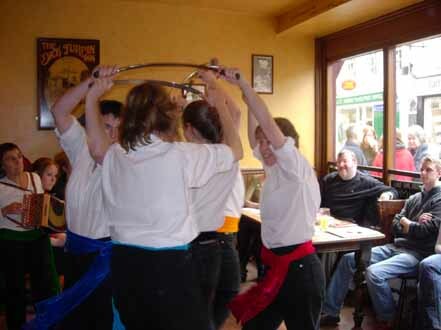 Mabel dancing up a storm in the Shaston Arms, Soho, during DERT 2012. 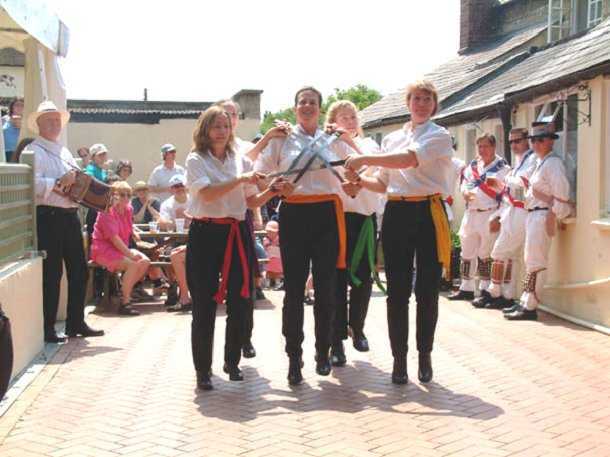 Mabel were so busy organising DERT in 2011, that they didn't really have time to do any dancing there. Charan from VideoMagic recorded them dancing at the evening showcase - no time for a costume change (except for Sally, who simply can't be stopped)! 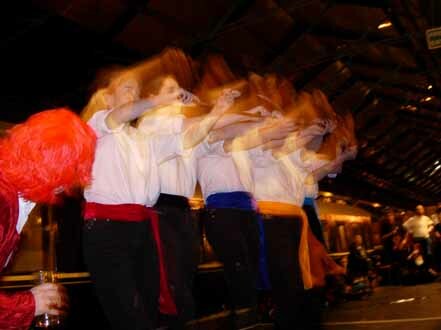 Dancing at Thrales' Sunday gathering in the Prince William Henry, Southwark, November 2006. Music by the ever-lovely Doug and Sarah. 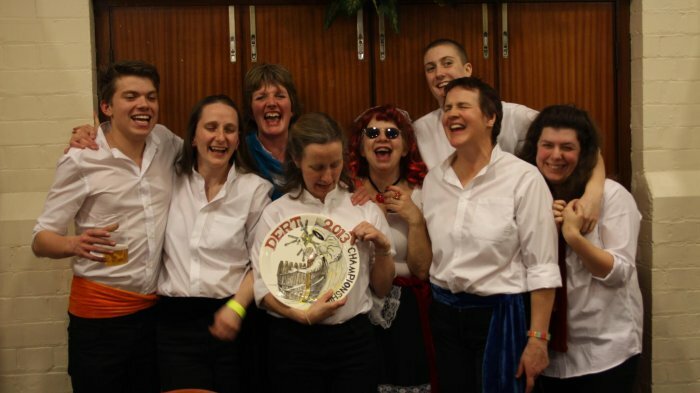 Mabel triumphantly displaying their winner's plate at DERT 2013. 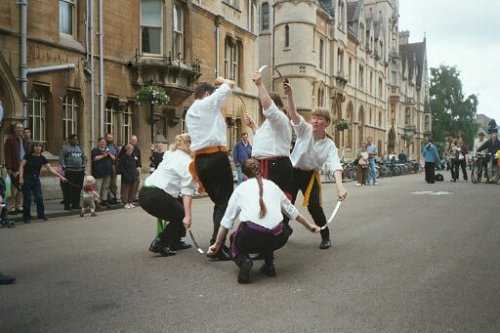 Mabel dancing in Broad Street, Oxford. I forget why. Mabel dancing outside (boo!) a pub, during Kirtlington Lamb Ale.